With all the talk of the Goblins, I haven't forgotten about the Carnal Cavaliers! 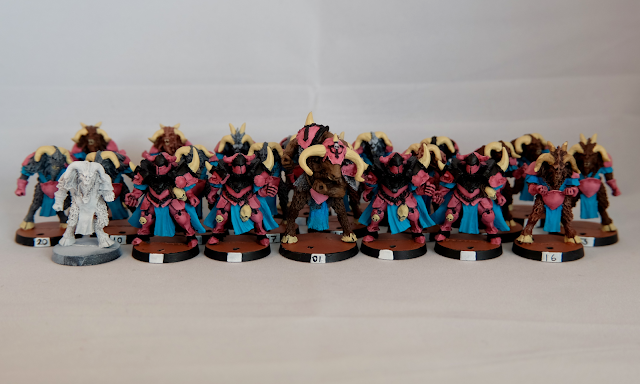 As things in our local league have panned out, we won't actually be starting the next full season until after West Coast Quake; because of this, because our league doesn't have a painting contest but the Quake does, and because I already have the three color minimum to qualify them as 'painted' these guys are on the back burner while the goblins get some love. Having said that, Sunday I spent a good chunk of time painting these buggers instead of the goblins I was meant to be working on! 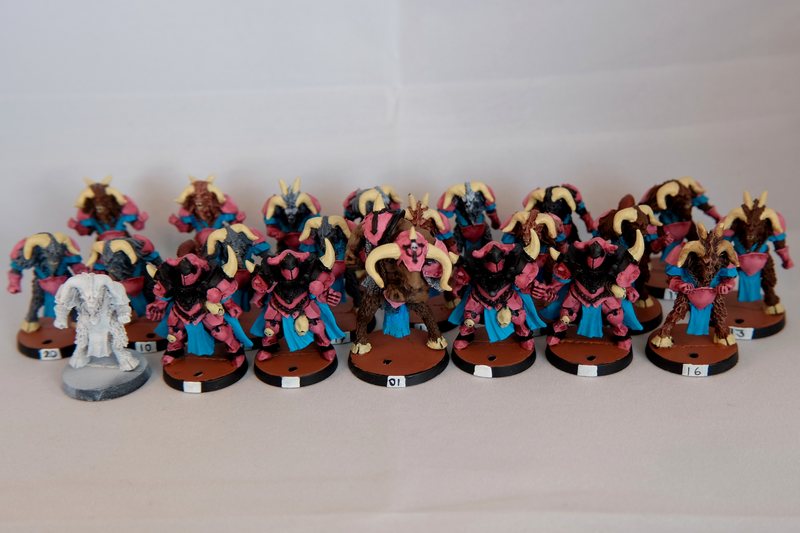 These pictures were actually taken last Friday so the bits and bobs I did on Sunday aren't reflected (NMM on the beastmen chains, numbering and some smoothing of the colors). What's with the dude in white? Did I forget to paint up one of my figures? Well yeah... kinda. He is the coach of the team and will be an albino beastman, he also got some paint on him on Sunday so looks a little more painted than he does in this photo! I will try and get some newer photos this weekend although I will be focused more on getting my Goblins a little further along!